We will make photocopies of journal articles and chapters in books. Request should not exceed the limits of fair use (see “Copyright Basics“). Photocopied materials will be scanned and made available electronically as PDF documents on Canvas. If a book is not available in the Tampa Library collections, we will attempt to purchase it in a timely manner. To expedite ordering books, include publisher and date of publication, ISBN and edition. If the Library owns an e-book copy of the item, a hard copy book will not be ordered. Please supply documents that you have prepared as electronic files. We use Adobe Acrobat Exchange to convert file formats to Portable Document Format (PDF). We accept the most popular word processing, spreadsheet, and image formats. Instructors can upload electronic file items to their courses without first having them reviewed by reserves staff. The Free Text reserve item request is not controlled by document type restrictions. Free Text item submissions are automatically made available to your students on Canvas. 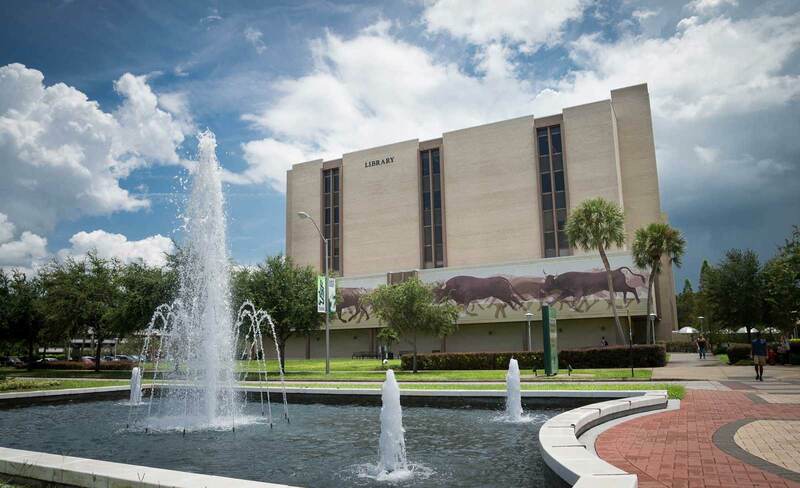 The USF Library has a wide variety of media resources and titles you can place on reserve. Media items can help broaden instructional methods and student understanding. We also have the option of streaming video into your course for certain tittles. Swank Digital Campus provides an option for access to legal streaming video for a limited number of feature films. Instructors may place items (USF Tampa Library materials or their own personal materials) on reserve status for the students in their courses. Unless copyright to the item is owned by the instructor, personal reserve items must be original commercial copies owned by the instructor. The USF Tampa Library cannot accept items which are borrowed, rented, home-copied, or recorded from television. The USF Tampa Library reserves the right to refuse to accept a reserve request if, in the judgment of its staff, fulfillment of the request would involve violation of copyright law. Material on loan from another library or obtained through ILL and UBorrow. Material from the Library’s Special Collections, Reference and bound periodicals collections. Material rented from a commercial establishment. Items are removed from reserve at the end of the semester. Instructors that need items for a new course/term must make a new request for the material via the new course in Canvas. Due to limited space, personal items placed on reserve should be picked up promptly. Although precautionary measures are taken to secure all items, the USF Tampa Library cannot assume responsibility for the loss of personal items.